Today I had the pleasure of taking out repeat customers again for peacock bass in Miami, Florida. So, today we met down at a location in Maimi that was close to there vacation spot. We fished three people today, Jack, Carlos and little CP which is only eight years old. 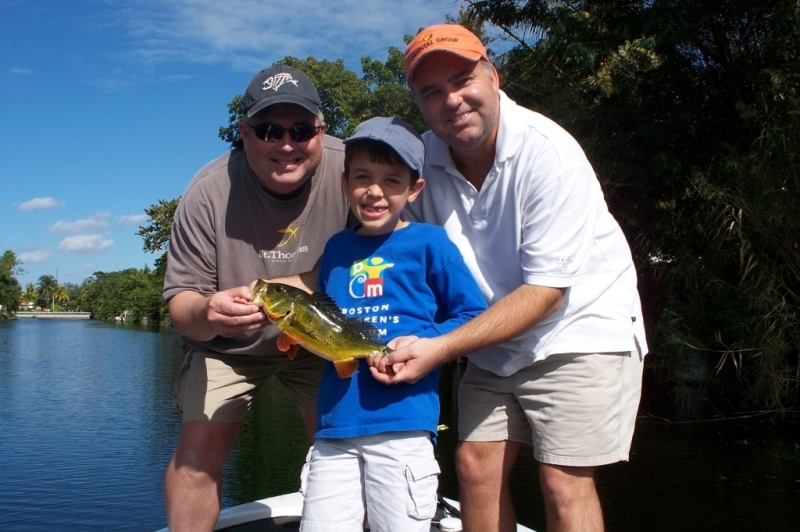 Jack and Carlos told me little CP has never caught a fish, he had made several past attemps to catch fish but no luck. I said, today is CP lucky day we are going to catch peacock bass today and that we did. CP ended up catching his first peacock bass as pictured above. It was a slower than nomal today, but we managed to work all my spots and make it a good day!